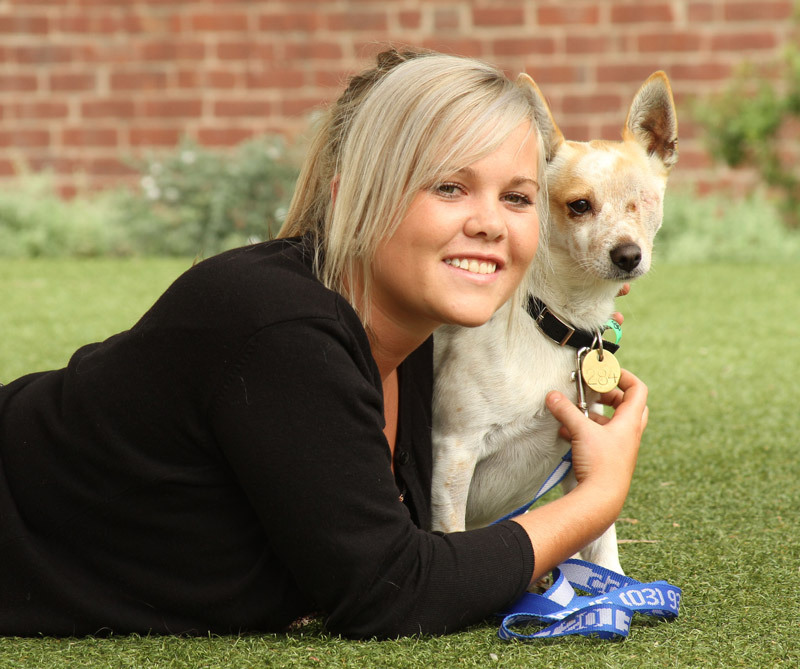 After featuring in yesterday’s Herald Sun, the little one-eyed Jack Russell cross dubbed iDog by the Home’s staff, has been adopted. iDog was hit by a car a few days ago, the impact ripping his eye from its socket. He was brought to The Lost Dogs’ Home and was immediately transferred to the hospital where he was sedated so the prolapsed eyeball could be surgically removed. Michael and his family fell in love with iDog when they saw him in the paper.Already sharing their family home with much loved Jack Russell ‘Buddy’,who has a congenital paw defect, a missing eye didn’t worry them at all! They called the Home immediately and were one of twelve people who wanted to give iDog a loving home. ‘It’s was wonderful to receive so many calls from such kind and generous people’ said the Home’s General Manager, Sue Conroy. Not having any young children in their family and the fact they were already used to living with a dog with a disability, made Michael and his family an obvious choice as iDog’s new owners. Also family dog ‘Buddy’ who is described by Michael as a dog that ‘gets along with everyone’ has the right outgoing, confident personality that will compliment iDog’s more timid and nervous disposition. and time he deserves, he will only continue to thrive. Like iDog there are other dogs needing a loving home and a second chance in life. Dogs from the Home cost $275 and puppies are $290. The adoption price also includes a free lesson with Planet K9 training to help dog and owner get off to the best possible start. Visit www.dogshome.com to view all dogs and cats for adoption. You may also want to test your knowledge as a pet owner at www.petlicence.com.au.